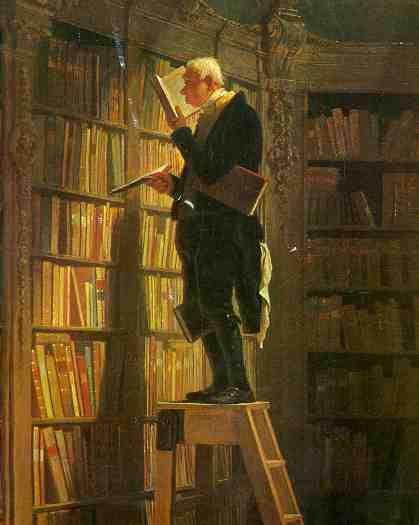 Carl Spitzweg's 1850 painting. Now that is a personal library! Did you know the original is in Milwaukee? I did not, but that's pretty cool.